When you have to send a fax to any company or an individual, you will probably look for fax machine. 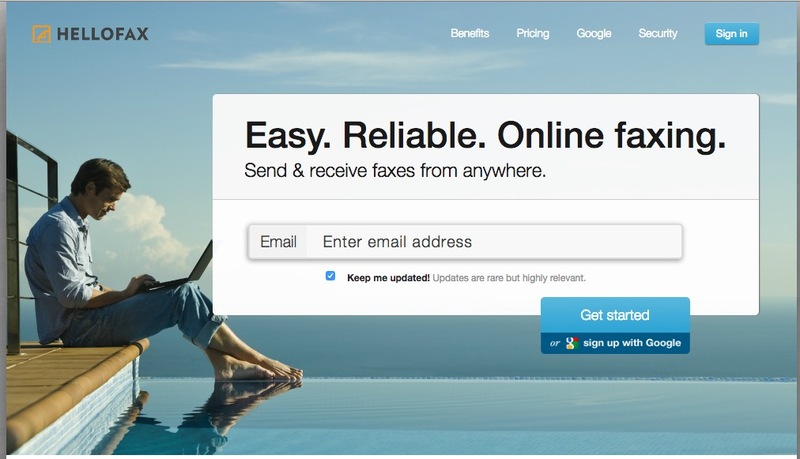 But with advent of the internet, fax machines are replaced by online faxing services. HelloFax is one of the best online fax service using which you can fax any important document to an email address directly. You don’t have to create another account if you already have a Google account, as that you will to sign in to HelloFax. Another feature is the ability it provides the access to documents, online. Unfortunately, there is no apps for you tablet or smartphone. HelloFax provides four different plans that you can choose according to your budget and requirement. Plans start from 300 to 1000 pages a month. In case you are not sure enough to go for the paid version, then you can first try out its free trial versions of all four versions, so that you can decide whether to buy or not depending on your experience. Also, its free version is among the best free fax online services. In case you already have a dedicated fax number, HelloFax allows you to keep it or you can choose a local number. With HelloFax, you will have the service to send unlimited fax lines and users, which allows whole company to use this service. This service which is among best faxing services, converts your images and documents into PDFs so that you can fax them using your email. Also, any fax sent through HelloFax is SSL encrypted. This makes it safer choice to send sensitive documents to the recipient. Another supporting feature of this fax service is its International Faxing. The best feature of HelloFax is its integration with DropBox, Google Drive and SkyDrive. You can easily send fax directly from these programs without any need to save the documents on your computer first. One downside is that HelloFax is not compatible with Microsoft Office so you have to save these documents in PDF first. Although HelloFax is seamlessly integrated with all of your cloud documents, there are no apps for your Android phones and tablets, iPhones etc. So you have to access the website in order to logging in HelloFax account. In case you need any assistance with your HelloFax account, its representatives are available via email only. The company doesn’t have live chat feature or any phone number.